Join us for tall tales of buried treasure, ship wrecks, and The Lake Erie Monster on this fun-filled, informative Lunch Cruise! Join Charlie and his fun reps as we set sail on a “3-hour cruise” on Lake Erie with 15 of the best craft breweries in the world. 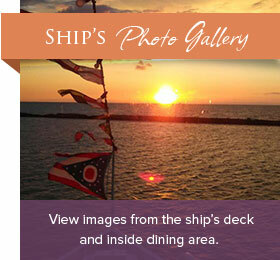 Meet the brewery reps, enjoy the beer, and take in the beautiful view of Cleveland from Lake Erie. Bring your thinking caps for this rare Sunday Night cruise! Buzz Allen will be your host! Tito’s Vodka Giveaways, Prizes and a few other surprises!